For many naturalistas the advent of spring means that protective styling is on the horizon. When you wear protective styles that involve some hair to be left out you'll probably have to manipulate your hair so that it matches your extensions. Back when I was relaxed, I would constantly flat iron my leave out - and my hair suffered. You don't want to be that girl with a thin leave out that is breaking off. Whether you're wearing curly extensions or straight extensions, you should be taking care of your leave out when your hair is tucked away. You want your edges to flourish, so here are a few ways not to kill your leave out when wearing extensions. Try to only leave out as much hair as needed. Leave out enough hair to help cover your tracks, and that’s it. Make sure that you part your hair on the side where you typically part your hair to style, so that it is easier for your hair to lay. Shampooing may be a no-brainer, but you still need to wash and condition your leave out while protective styling. Washing every 2-3 weeks is a good timeframe for your leave out. Use a gentle sulfate free shampoo and deep condition, and be sure to use a leave in conditioner on your leave out to keep it healthy. If you practice the LOC method, this still applies to your leave out as well. Make sure to seal in the moisture in your hair. You should treat your leave out just like you would if you were not protective styling. Let your leave out air dry rather than blow drying it. Braiding it to stretch it is best, so that you won't use too much heat when it's time to style. This is a healthier alternative to always flat ironing your leave out. If you are low maintenance like me this is perfect for you. Create a cute twist or braid in the front with your leave out. I have seen some gorgeous styles with a leave out that was twisted or braided around the perimeter. You can create a halo type of twist or create one on each side. This way you don't have to bother with your leave out at all and you keep your hair protected. If you must use heat, keep the flat ironing to a minimum and do only one pass. Make sure that you are using a heat protectant on your leave out when flat ironing it. The key is to flat iron only once between washings. The bottom line is: don't apply heat unless absolutely necessary. 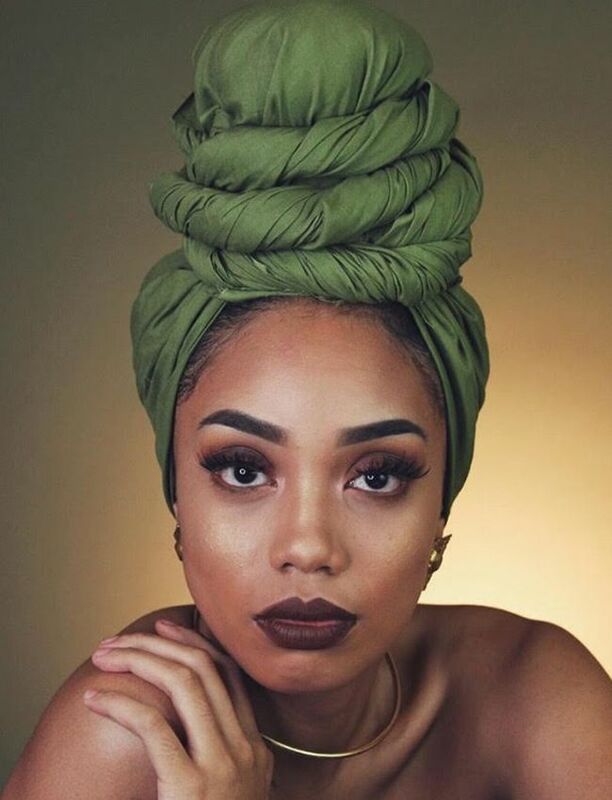 Give your hair a break every once in a while and rock a turban or a scarf with your protective style. You can also try flexi rods to blend your leave out. How do you keep your leave out healthy while protective styling? Watch out for the 4 signs you're in heat damage denial. Here's how to repair your heat damage in 6 easy steps.